Aunts who want to help their high school age nieces and nephews have successful, higher paying careers later in life should encourage them to be responsible students, show interest in their studies, and focus on reading and writing. A new study show that these traits and skills were found to be significantly associated with prestigious careers later in life, regardless of IQ and/or parental income. 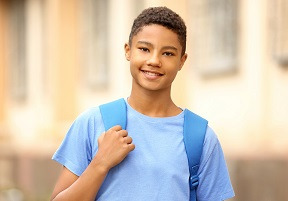 Being a responsible student, maintaining an interest in school and having good reading and writing skills will not only help a teenager get good grades in high school but could also be predictors of educational and occupational success decades later, regardless of IQ, parental socioeconomic status or other personality factors, according to research published by the American Psychological Association. The research was published in the Journal of Personality and Social Psychology®. Spengler and her coauthors analyzed data collected by the American Institutes for Research from 346,660 U.S. high school students in 1960, along with follow-up data from 81,912 of those students 11 years later and 1,952 of them 50 years later. The initial high school phase measured a variety of student behaviors and attitudes as well as personality traits, cognitive abilities, parental socioeconomic status and demographic factors. The follow-up surveys measured overall educational attainment, income and occupational prestige. Being a responsible student, showing an interest in school and having fewer problems with reading and writing were all significantly associated with greater educational attainment and finding a more prestigious job both 11 years and 50 years after high school. These factors were also all associated with higher income at the 50-year mark. Most effects remained even when researchers controlled for parental socioeconomic status, cognitive ability and other broad personality traits such as conscientiousness. While the findings weren’t necessarily surprising, Spengler noted how reliably specific behaviors people showed in school were able to predict later success. American Psychological Association. "Behavior in high school predicts income and occupational success later in life." ScienceDaily. 26 February 2018.